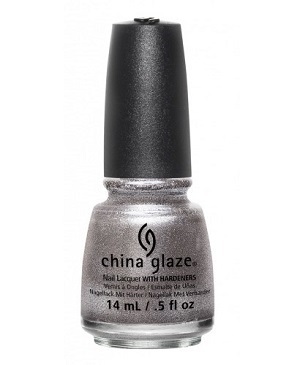 China Glaze Nail Polish, Check Out The Silver Fox, 1413, .50 fl. oz. Sparkly, shimmery, metallic silver nail color with a foil finish.